Friends! 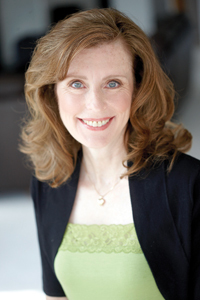 Save next Monday night, April 23rd, from 6:30-8:00 p.m., where we’ll have a delightful time discussing Julie Klassen’s Innkeeper of Ivy Hill. Come and bring a friend with you! 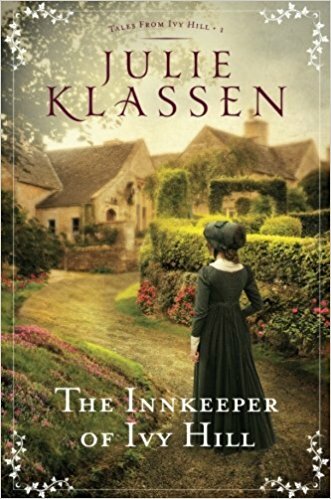 On Monday, April 23rd, Branches Book Club will end the season with a discussion of Julie Klassen’s The Innkeeper of Ivy Hill. What a contrast this book is to last month’s selection, The Choosing, which took place far in the future. For April, we have traveled in our literary time machine back to Wiltshire, England in the year 1820. Passenger coach travel supports the existence of charming inns, where travelers can find good food and a soft bed before resuming their journey. After the death of her husband, Jane Bell is expected to keep the Bell Inn running efficiently. Her knowledge of business in general and how the Inn functions from day to day are equally lacking, but she must somehow pull things together. She is surrounded by long time Inn employees and relatives of her late husband, but can she trust them to help her and not take advantage of her? We are left wondering for a while just who the good guys and bad guys are in this novel. Publishers Weekly had this to say: “Klassen blends her tale well; each ingredient-romance, friendship, mystery-is measured to produce a lively tale that will satisfy Regency aficionados and general readers, too.” I totally agree! I loved attempting to assess brother-in-law Patrick’s motives; the intentions of Mr. Locke, and how long it would take mother-in-law Thora to soften. Many of our Branches Book Club members have a soft spot for Regency fiction, and this book, first in Klassen’s TALES FROM IVY HILL series, does not disappoint. We look forward to sharing with you on the 23rd! Yes, we will be in the sanctuary! This will keep us near the special LifeWay display in the lobby. Our friends from LifeWay will have all of next year’s books for you to purchase at a discount, in addition to other titles you may be interested in. Posters of next year’s book list will be available for you to share with others. We hope to see you there! 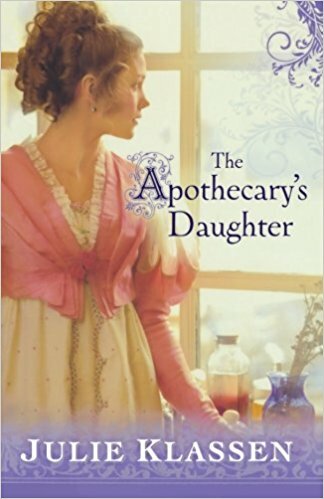 Another fun fact is several of us have also enjoyed another book by Julie, “The Apothecary’s Daughter“, just in case you’d like to read another selection by her. We hope to see you next Monday night, 4/23, from 6:30-8:00. 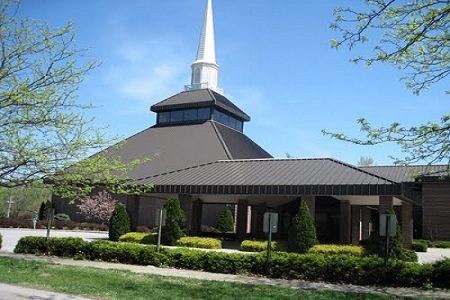 Please RSVP to Nancy Tinnell at (502) 245-8839 and don’t forget we’re meeting in the sanctuary. Also you will NOT want to miss this opportunity to learn of our selections for our next season (BIG REVEAL!!! ), plus you’ll want to discover which authors are coming to be with us, and to snag the books early for your summer reading that LifeWay is so gracious to set up for us! Love Stories and Chocolate Treats (Part 3 of 4) Please join us for Book Club February 26th! Friends! 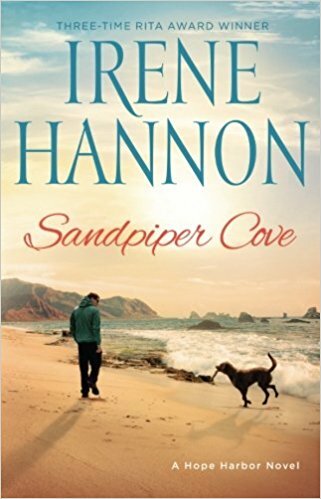 Grab some of your friends and head over to Book Club to hear what promises to be a grand discussion of an even grander love story and mystery, Sandpiper Cove by Irene Hannon. The Branches Book Club gals will be meeting at Middletown United Methodist Church on Monday Night, February 26th, from 6:30-8:00 p.m.
It’ll be fun to hear everyone’s thoughts on their favorite characters, and let me tell you, author Irene has created some real characters. You won’t want to miss the love story budding in this book and I suspect you’ll be as frustrated as I was with the twists and turns. While Irene keeps the story moving, she dots it throughout with what I call “wow” statements. 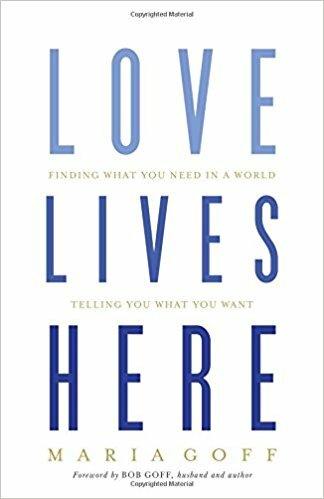 An early example is: “Letting yourself care for anyone—or anything—was an invitation for grief.” Perhaps she does this to brace us readers for what’s around the corner. Irene also weaves pictures of grace throughout the book. We readers struggle right along with some of the characters trying to overcome their past. Adam Stone spent time in prison and is trying to get a new start. You’ll find yourself turning pages more rapidly once the mystery of multiple vandalism unfolds coupled with Adam and Lexie’s relationship. Other characters enhance their relationship in fun and many times humorous ways. One teenage boy, after being discovered as one of the kids involved in one of the vandalisms, gets mentored by Adam, keeping him out of trouble. His mother is also a single mom. His, and later his Mother’s transformation is another bonus we readers get to witness. It’s surprising so many of these characters wind up together at the local church. Don’t miss the orchestration! Hurry and read Sandpiper Cove to find out if the mystery gets solved with the vandalisms, if Lexie and Adam jump the hurdles necessary to start a relationship (including a late-into-the-story complication against Adam’s character), and if grace really can be extended to those who seem guilty. Come join us Monday night, February 26th from 6:30 – 8:00 p.m. Please call Nancy Tinnell to RSVP at (502) 245-8839. We’d love to see you! 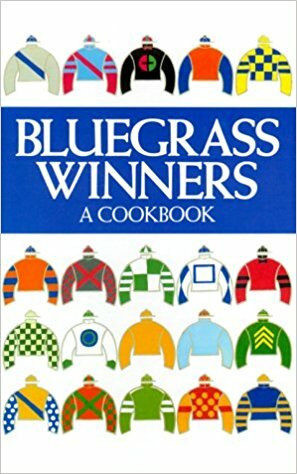 Our chocolate treat this week comes from Kentucky cookbook Bluegrass Winners by the Garden Club of Lexington. 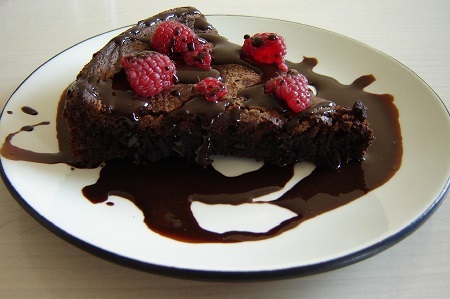 Don’t miss the Chocolate Torte on p. 280. Comments Off on Love Stories and Chocolate Treats (Part 3 of 4) Please join us for Book Club February 26th! Friends! Call up your friends NOW and invite them to what promises to be a boatload of fun next Monday, January 22nd, from 6:30-8:00 at Middletown United Methodist Church. It’s our first Book Club Meeting of the New Year! 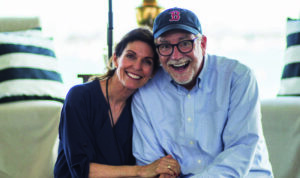 We’ll be discussing Love Does—Discover a Secretly Incredible Life in an Ordinary World by the one and only Bob Goff. Once you get to hear Bob speak, you can’t miss his inflections in his book. He depicts some kind of crazy in everything he does! 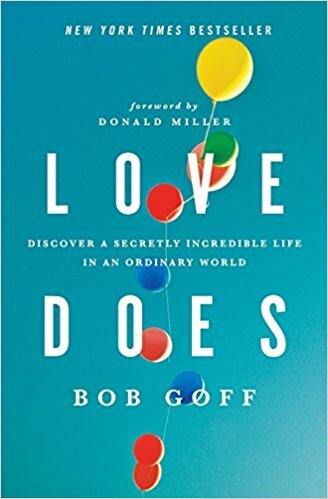 Louie Giglio says Bob is “a one-man tsunami of grace, a hurricane of love.” Bill Hybels says, “If this book doesn’t make your heart beat faster, book the next flight to Mayo Clinic!” And in the Foreword, by Donald Miller, he says, “Where you and I may want love and feel love and say love, Bob reminds us that love does things…. In each chapter you get to be Bob’s righthand man, hanging out with him, seeing him in action. You’ll get to meet Bob’s Young Life Leader, named Randy, who did something so outrageous in the first chapter, you’ll be hooked and won’t be able to put the book down. Please RSVP to Nancy Tinnell at (502) 245-8839. And bring lots of friends! Everyone is welcome!